The Instructional Design (ID) Manager works to develop a campus culture that embraces digital teaching and learning by supporting instructional designers as they engage faculty in online and hybrid course development and revision. The ID Manager uses a growth mindset (Dweck, 2007) to help the instructional design team function as members of a supportive OE team. The ID Manager has strong pedagogical knowledge, online education experience, and collaborative supervisory skills that promote best practices in instructional design. brings research-based perspectives to the art and science of instructional design. The ID Manager collaborates with the instructional art and instructional applications programming staff. The ID Manager also supports OE by working on issues, programs or projects at the request of the Director. 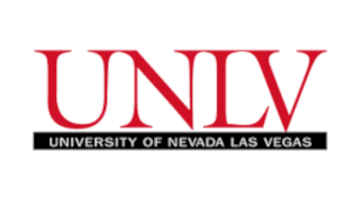 For assistance with the application process, please contact UNLV Human Resources at (702) 895-3504 or applicant.inquiry@unlv.edu. Candidates must possess at minimum a Master's degree in Instructional Design, Educational Psychology, Organizational Development or related field from an accredited college or university, and have at least two (2) years of related managerial experience. o Supporting and developing a cooperative team of professionals. Formal knowledge in instructional design and learning theories, approaches, and practices, including the ability to remain current within the discipline. Ability to assess and support or shift (as needed) organizational culture. Growth mindset with demonstrated ability to be resilient and agile (Broza, 2015). Instructional design skills that effectively use various technologies and practices in the online experience. Ability to analyze feedback from summative evaluation of OE classes and develop strategies for instructional designers to use as they encourage faculty to improve student outcomes. Ability to support communities of practice in digital teaching and learning. Adept at providing support for multiple courses in a variety of disciplines. 5+ years experience working in higher education. Higher education staff supervisory experience.